What remains of the barn now are planks stacked in the shed, or beams piled out front of the house, under a blue tarp. Quite a bit, actually. 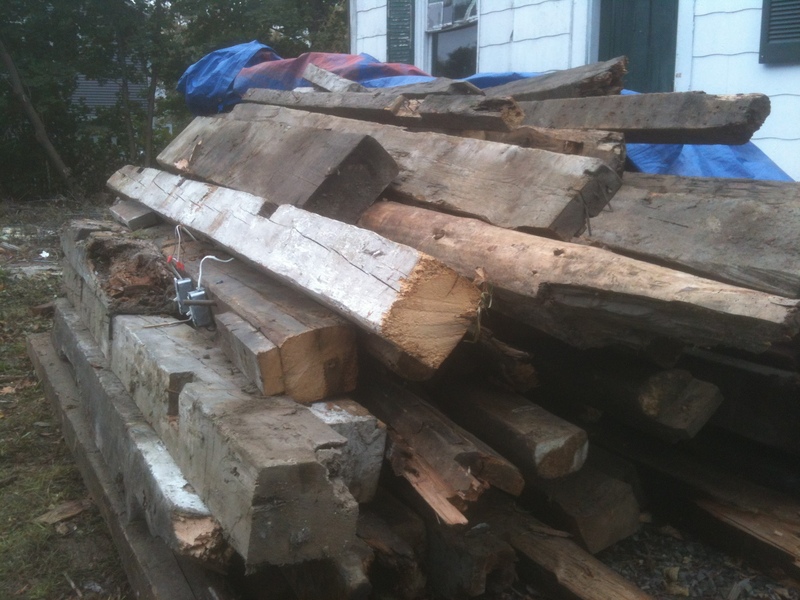 My scavenging was compelled not by a plan to use the wood, but its untold poetry. Not that I ever will know its text. I just want to preserve the chance. “…[in] the summer of 88, when my pop decided that the barn behind our house on the Gaspe coast (both built by my great great Irish grandpap) was ready to given up its ghosts and come down. “He paid a man (who was infamous for having killed another in a fist fight) to dismantle it in exchange for the wood. Decades later, he’d finally admit that he’d come to regret the decision, wishing he’d kept at least enough to frame a small chalet behind the place. “Economic necessity pressing (we had 5 kids supported by a teacher’s wage), he still contends that he had no choice. That said, I can feel the sadness in his voice when he talks about it.